Clear skies. Low 42F. Winds SW at 10 to 15 mph..
Clear skies. Low 42F. Winds SW at 10 to 15 mph. 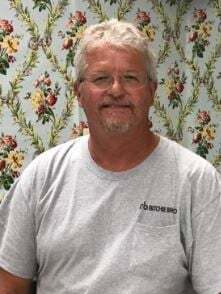 Larry Bothof, 56 formerly of Twin Falls Idaho, and recently of Moultrie Georgia, entered the arms of his Savior on December 18, 2018. He was a life long private pilot who was enjoying his passion for aviation when he flew through heavens gates. He was born August 11, 1962 to Gertrude and Gary Bothof in Bellflower, California. Larry lived most of his life in Idaho, where he enjoyed all things adventurous. He met the love of his life, Cheryl Mingo and they married on December 17, 2005. Larry was a devoted husband, father, and papa. Anyone who met Larry became a friend because he never met anyone who left as a stranger. He had a smile on his face that stress and life could never steal. The joy of the Lord was truly his strength and came from deep inside his soul and out to every person he came in contact with. No one left untouched by his joy. Larry’s passion for life was unmatched and an amazing gift to all who were blessed to share life with him. He was a man of many gifts, he could fix or repair anything his hands touched and if he didn’t know how, he would figure it out and redesign it to work better than before. In passing he not only leaves behind his loving best friend and wife, Cheryl Mingo Bothof; sons, Levi Thomas (Brianna), and Evan Dean. Stepchildren, Steven Mingo (Louisa), Emily Rice (Tyler Robinson) and Alex Slemp; four grandblessings, Korbin, Kasen, Tucker, and Everleigh; his parents, Gertrude & Gary Bothof; brother, Steve (Donna); sister, Lori Hill (Roy); many nephews, nieces, aunts, uncles, and cousins. The gift God gave the world in Larry Bothof was cherished by many and his absence will be deeply felt. His heart was the same as his Jesus...that no one leave this earth without the heartfelt love of knowing Jesus Christ and living for him. Larry lived that daily in his relationships, giving to others and sharing the gospel with whoever God laid on his heart. His smile would be even bigger today if he knew someone fell in love with Jesus through hearing of his passing. What a celebration heaven is having! There will be a service in Twin Falls at Amazing Grace Fellowship, 1061 Eastland Drive North Twin Falls, Idaho for his Idaho friends and family January 11th 2019 at 5:00 p.m.